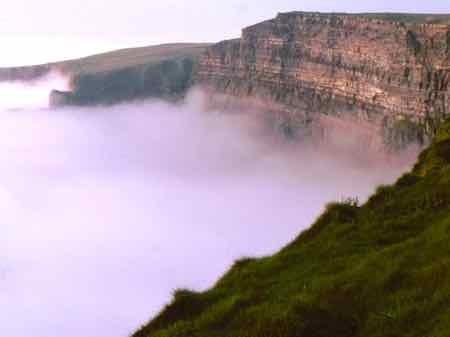 Top Sights in Ireland - What Are the Must Sees? What are the top sights in Ireland? But there are some you just shouldn't miss. The first time you visit ANY country, there are just some sights you "must see". There are lots of "top ten lists" for almost any country. Whether it's top sights in Ireland or what you need to see before you die. Use these lists, but don't define your trip by them. The first sight we'd recommend is the Bru na Boinne... that's Celtic or Irish for "Palace of the Boyne". Sometimes this area is called the "Bend in the Boyne..." That's a looser translation, but these sites ARE on the banks of the Boyne River. It's really a group of sites, which together make up an important ancient megalithic site. 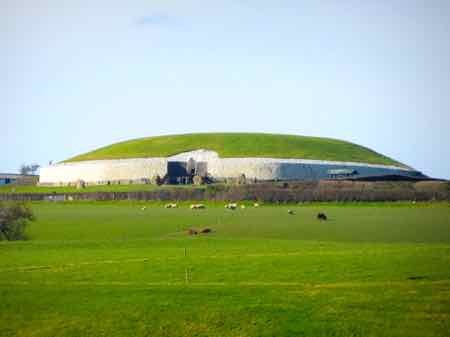 You have to see Newgrange and Knowth. They are impressive prehistoric passage tombs. See the ancient stone carvings around the outside. You must take a tour; you can't explore them on your own. You can choose to tour one or both. Plan to arrive early as tours fill up in the high season. Most guidebooks will tell you that you should see the Ring of Kerry... a driving circuit that encompasses three peninsulas in southwestern Ireland. It's a great drive with lots of castles and coastline and the lakes of Killarney. It's a beautiful drive, but it tends to get crowded. If you plan your trip for Spring or Fall, you can see it with smaller crowds. 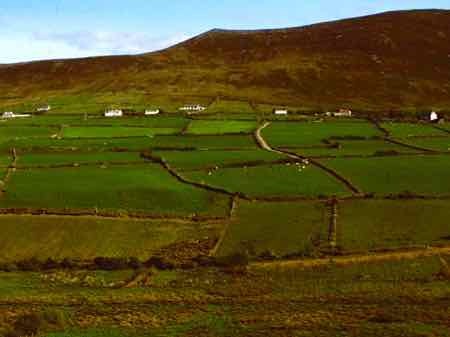 For a less congested alternative, consider driving the Dingle Peninsula instead. It's got fewer crowds year round, but it's got plenty of coastal scenery too. Drive out to the cute town of Dingle then take the Slea Head Drive, a circuit out along the Atlantic. This drive can be taken in a long afternoon if you want. There is an ancient church, the Gallarus Oratory, and some beehive huts (called "clochans") lived in by Monks in the Dark Ages. You'll also see a Stone Age ring fort on the drive. Here's an interesting fact... Slea Head is the point in Europe closest to America. You really should see the Cliffs of Moher and the Burren. These natural wonders are an interesting counterpoint to each other. The Cliffs of Moher are topped with green and plunge hundreds of feet into the Atlantic. The Burren is a barren but mesmerizing moonscape of limestone karst littered with megalithic tombs and celtic crosses. We saw both of these in a day drive from a base near Shannon. For pure scenic wonder and some great Irish stories, you need to see the Giant's Causeway. It's a natural wonder and a place full of legends. Thousands of polygonal columns appear to make up a giant stairway. It's great fun to let the locals tell you the various stories about the giants that are supposed to have built this "causeway". Dublin is a city definitely worth seeing. We don't stay long in cities, but you should see Trinity College to visit the Library and see the Book of Kells. It's a copy of the four Gospels of the New Testament, but what makes it special is that it was transcribed by Celtic monks in the Dark Ages... about 800 AD. These calfskin volumes are extravagantly illustrated... true works of art. Whatever you choose, you'll find your own top sights in Ireland. Save time for just rambling around. Explore other cities. Find castles... they're everywhere. The whole country is beautiful, and the people are friendly. You can't go wrong. A Travel Agent - Do You Need One? Active Travel - OK, How Active? Volunteer Vacations - Are They For You?